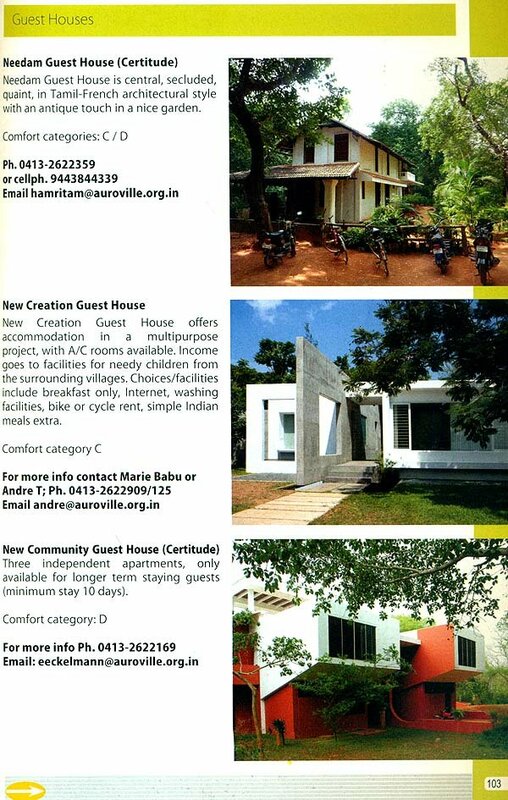 The Auroville Handbook, which has been Prepared as a user-friendly introduction to the international township project of Auroville, is aimed at meeting the needs of a wide range of people, from visitors and guests to newcomers, Auroville international Centres and resident Aurovillians. 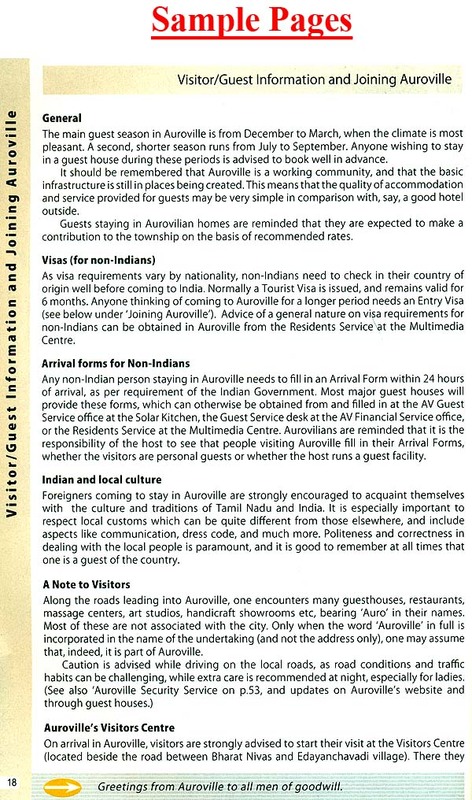 It should be noted that inclusion in the Handbook does not necessarily imply that the individual, group or unit is legally or otherwise related to the community of the Aurovillie foundation, merely that there is some connection with Auroville. 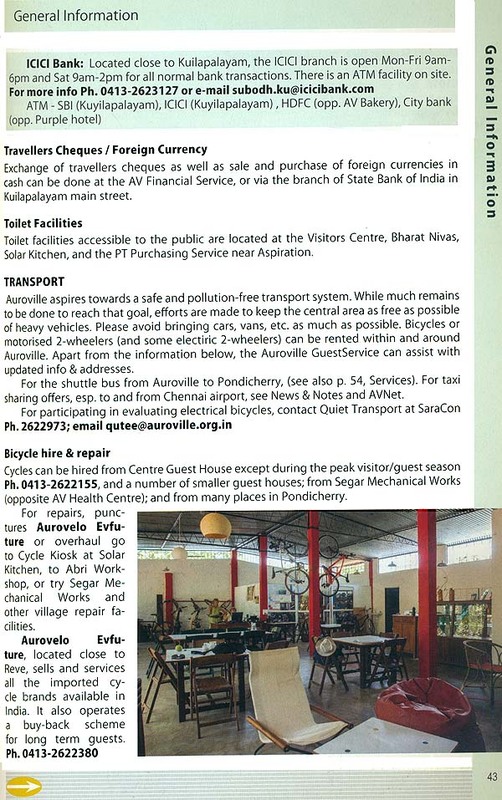 Such is the rate of change in a project as large and complex as Auroville, the Handbook cannot remain fully accurate for long. 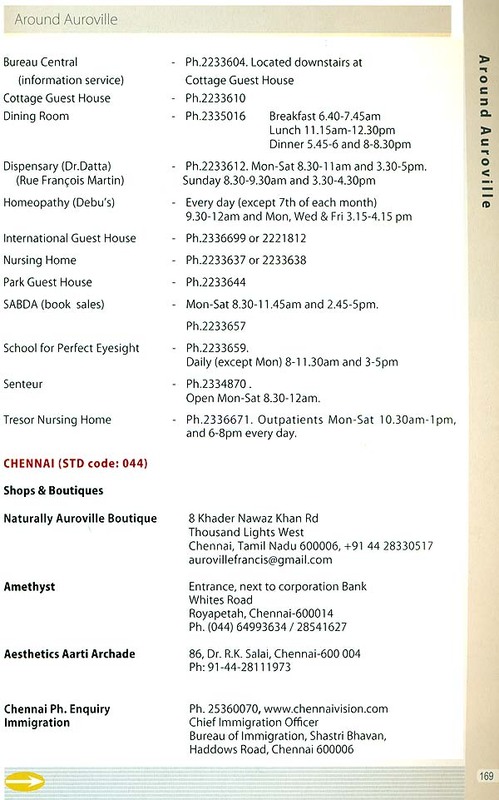 Your help in pointing out errors, omissions and ways in which it can be improved is therefore always welcome. The Universal Township project of Auroville was inaugurated on 28 February 1968, when young people representing 124 countries and all the Indian States placed a handful of earth from their home lands in marble-clad urn near the centre of Auroville, in a gesture symbolising the creation of a city dedicated a to human unity and international understanding. Auroville is based upon the work and vision f India’s great sage, poet and evolutionary pioneet Sri Aurobindo and his spiritual collaborator, the Mother. Born in France as Mirra Alfassa, she came to India in 1920 to be with Sri Aurobindo and at his behest built and guided the Sri Aurobindo Ashram in Pondicherry into a vast and many-sided spiritual community. 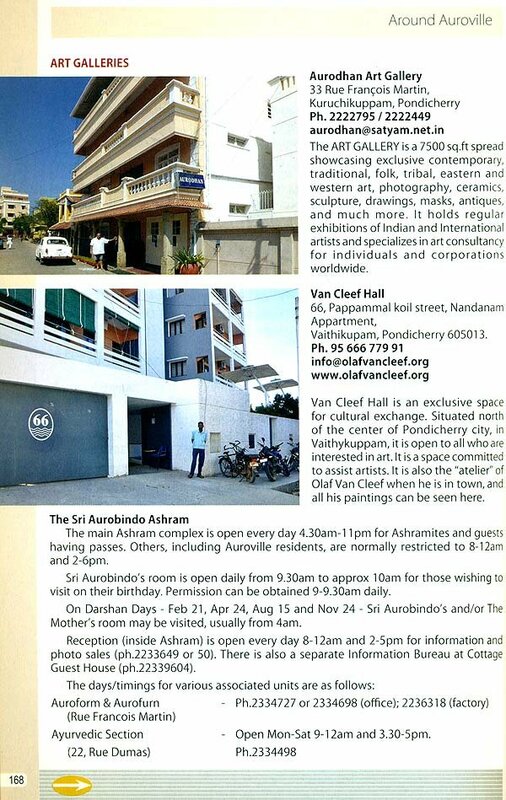 In 1952, she established the Sri Aurobindo International centre of education, and in 1968 founded Auroville as a site for manifesting an actual human unity in diversity. Conceived as an experimental city, Auroville offers itself as testing ground and laboratory for the next step in human evolution. 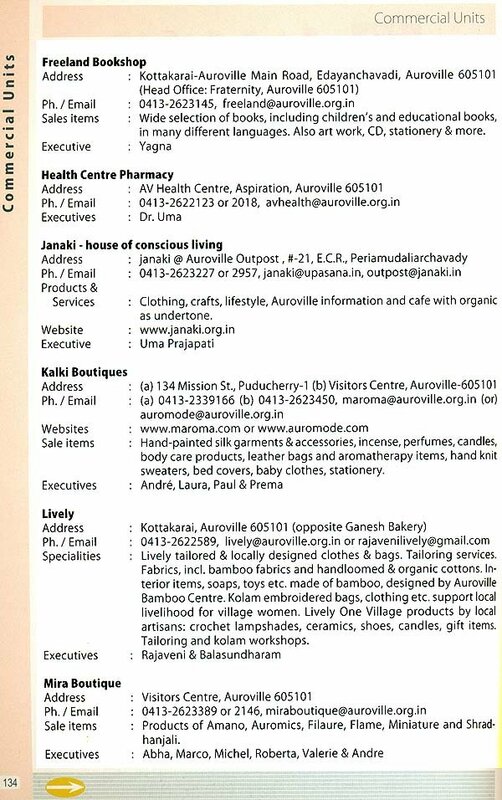 Auroville belongs to nobody in particular. Auroville belong to humanity as a whole but to live in Auroville one must be a willing servitor of the Divine consciousness. 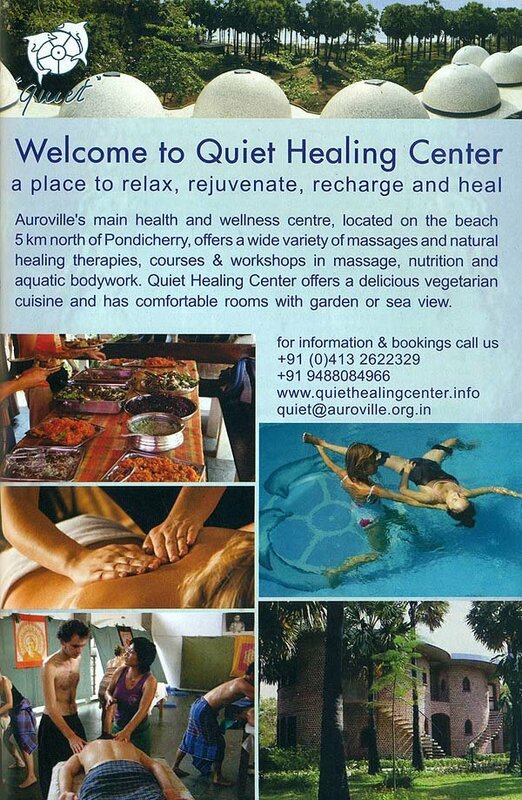 Auroville will be a site of material and spiritual researches for a living embodiments of an actual Human Unity. The dot at the centre represents Unity the Supreme; the inner circle represents the creation, the conception of the City; the petals represents the power of expression, realisation. 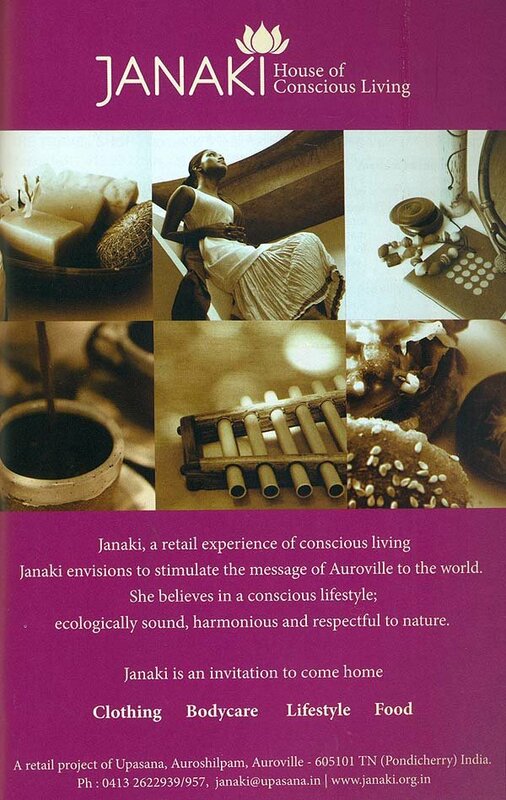 Auroville,”the city Dawn’, is conceived for 50,000inhabitants from around the world. It is located on low-lying plateau on the south east coast of India, some 10 kilometers north of Pondicherry. 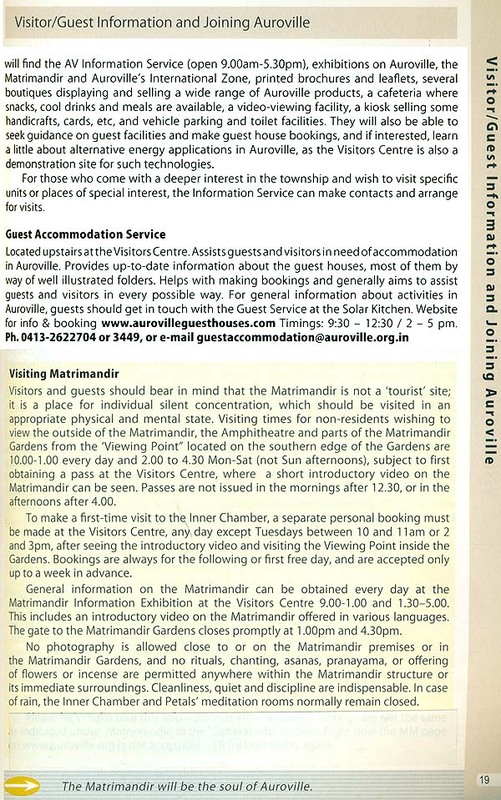 At the centre stands the Matrimandir, the ‘soul of Auroville’, a place for individual silent concentration. Radiating out beyond the Matrimandir gardens are four Zones-the Industrial (North) Cultural (North East), residential (South/south west) and international (west)-each focusing on an important aspect of the township’s life. Surrounding the city area will be a green Belt consisting of forested areas, farms and sanctuaries with scattered settlements for those involved in green work. 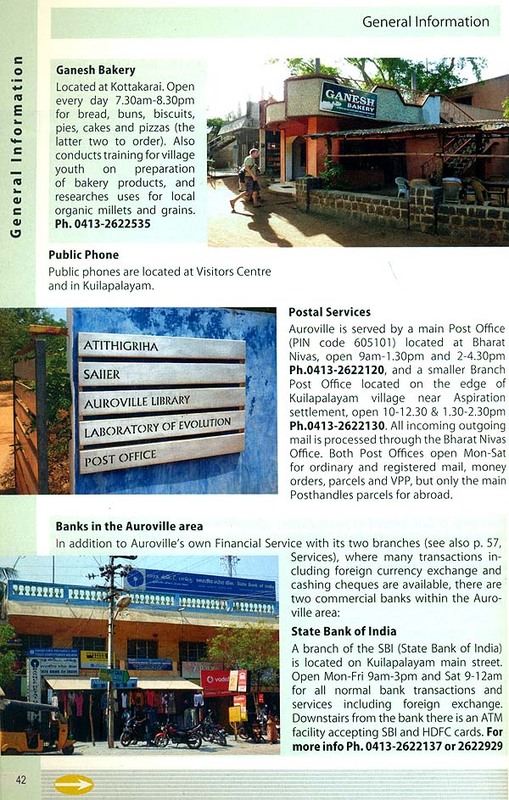 While much land has still to be acquired, Auroville presently manages over 80% of the total acreage within the city area. The situation in the Green belt is less advanced a witha far smaller portion of the area currently belonging to Auroville. 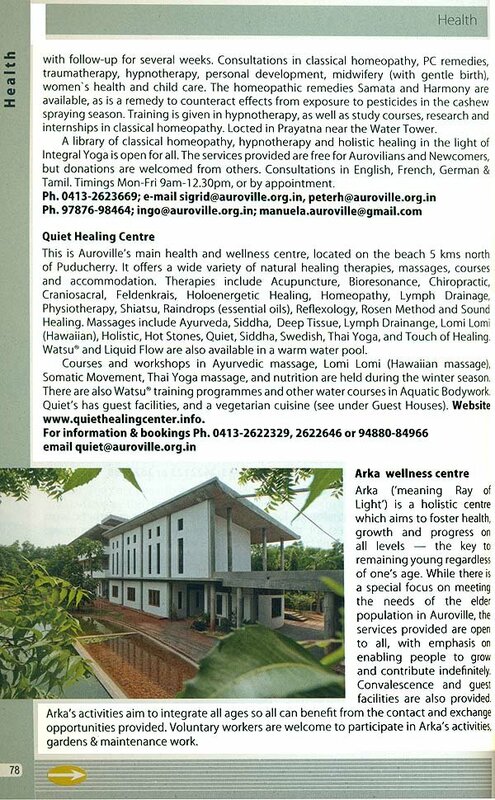 The Present ‘community’ of Auroville consists of over 100 settlements of varying size, interspersed and surrounded by lands owned by Auroville, surrounding villages and some temples. 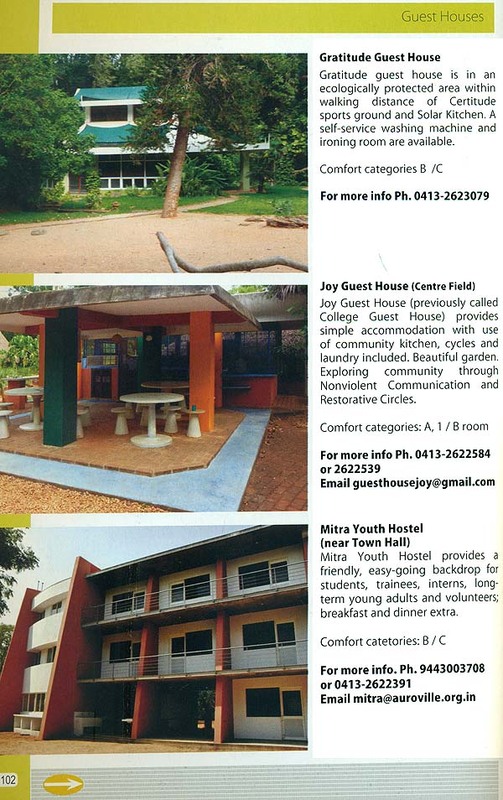 The activities of the inhabitants are multifarious, and include a forestation, organic agriculture, educational research, health care, village development, appropriate, technology building construction, small and medium-scale businesses (mostly handicrafts), town planning, arts and culture, and municipal services.